This year has been a big one for us and we have you guys to thank. We have had over two million unique hits and thousands of comments – and hardly any of those were selling viagra thanks to our anti-spam system. We also have to thank our loyal sponsors who have been awesome. Have to give a special shout out to Icon Motorsports who have been supporting this little blog from the beginning. Their products keep on getting better and better. And to quote Hell for Leather “Icon is going to take over the world”. It’s true. Wherever you are reading this, whether its snowing, raining, sunny, or in prison (hey Bubba) we hope you have a great Christmas and a rockin new year. 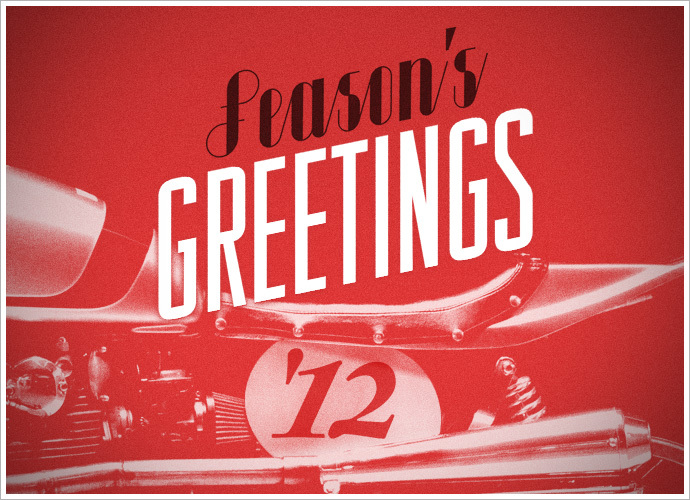 We are pumped for 2012 and have loads of new stuff to bring to the Pipeburn table.